The International Association for Near-Death Studies presents NDE RADIO, a weekly exploration of near-death experiences and similar encounters with the other side, hosted by Lee Witting. 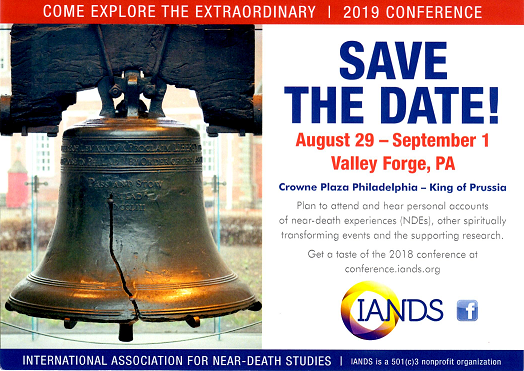 As the world's pioneer organization for exploring what happens when the soul leaves the body, IANDS is now expanding its educational efforts through broadcasting with NDE RADIO. The show features first-hand stories of near-death and out-of-body experiences, interviews with guests who have experienced the other side, and with researchers of the NDE and other "mystical" phenomena. Shows will offer the chance for audience call-ins, and each show will be archived for listening at any time. Host Lee Witting is himself a near-death experiencer with a doctor of ministry degree in NDE studies. NDE RADIO airs live every Monday at 11:00 AM Eastern time on TalkZone. The call-in number is 888-463-6748. Listen to all the previous shows here.